into the Barrel Rests. Works with just about any gun. 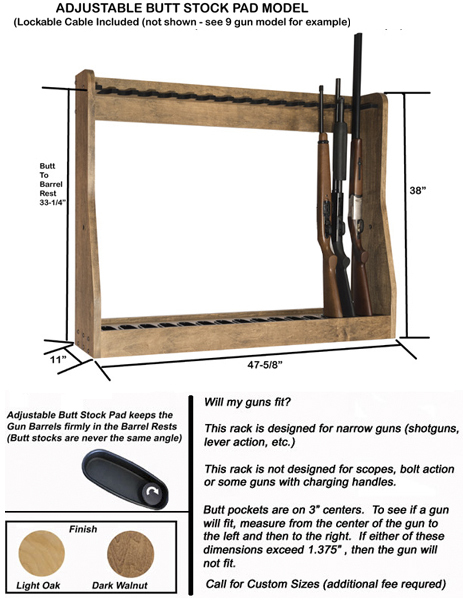 -Not intended for Bolt Action, Scopes or some charging handle guns. -Need a Custom Size - call us for a quote!